Bomberman (Nintendo NES) NEW SEALED H-SEAM, FIRST PRINT CIRCLE SEAL MINT VGA 85! NES Nintendo Bomberman New Factory Sealed Game VGA Graded 80 8.0 NM Last Copy! Bomberman Nintendo Entertainment System Nes Tested! 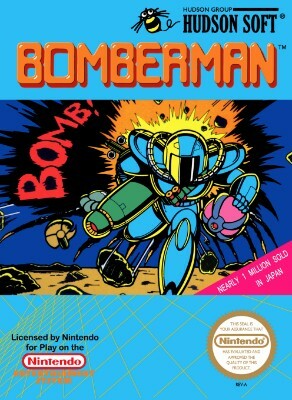 Bomberman (Nintendo Entertainment System, 1989) - Works Great! Bomberman - Nintendo NES Clean, Tested.